It’s no secret that the majority of parents continue to opt out of the HPV vaccines (Gardasil and Cervarix) for their children. Trust in the HPV vaccines is extremely low due to pressing concerns about safety and effectiveness. Many medical doctors concur. A prominent MD in women’s health writes about how Gardasil is gutting rather than “guarding” our youth. The American College of Pediatricians has officially sounded the alarm about Gardasil and how it is triggering premature ovarian failure (infertility) in young girls at an alarming rate. In Japan, a class action lawsuit is in process with dozens of families suing the vaccine manufacturers for the debilitating health effects suffered by their daughters (1). In addition, the Japanese government suspended the HPV vaccine in 2013 in response to numerous cases of serious adverse events. In the United States, citizens are barred from suing vaccine manufacturers per the National Childhood Vaccine Injury Act of 1986. The only way to get compensation for vaccine injuries in the USA is from the National Vaccine Injury Compensation Program (NVCP). The stark reality is that vaccine injured kids are rarely compensated, however. Two out of every three applicants are denied recompense. Those fortunate enough to receive compensation must wait years or even a decade or more! Despite the few parents of vaccine injured children receiving any compensation whatsoever, the NVCP paid out over $3 billion dollars in claims through 2010 (2). Instead of withdrawing the dangerous HPV vaccines from the market or attempting to reformulate them to make them safe, vaccine manufacturers have chosen the stealth route to get parents to comply. 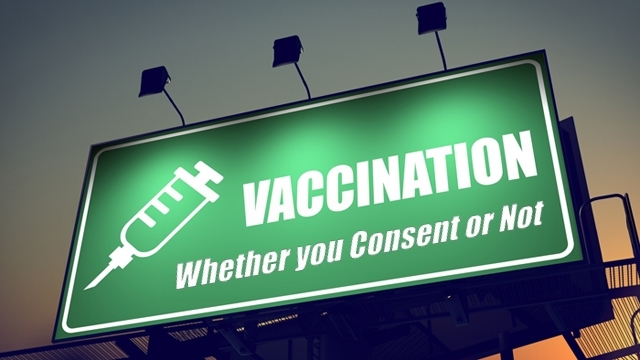 A study by one Denver clinic has demonstrated how easy it is to fool concerned parents into consent for their adolescent children to receive Gardasil or Cervarix. By bundling the HPV vaccine into a single jab with other childhood vaccines, the opt out rate declines to only 10% for both boys and girls for the first dose. This compares to a national opt-out rate of 43% for girls and 65% for boys when HPV is a standalone vaccine given separately. According to the CDC, all girls and boys should get three doses of the HPV vaccine starting at age 11. Using the bundling approach, 66% of girls and 53% of boys received all three doses compared with a national average of 38% and 14%. “The program is simple and low cost, and something that can easily be rolled out at other institutions. It’s become a part of our general procedures to encourage vaccination at every visit, and use every visit as an opportunity to give vaccinations” (3). In other words, using the “C” word and scaring parents rather than fully disclosing the risks versus the (miniscule to nonexistent) benefits of HPV vaccination seems to do the trick. Bundling a vaccine with another vaccine to dupe the public is a time tested approach that has worked before. Back in 2009 when Swine Flu (H1N1) hysteria was sweeping the nation, the public overwhelmingly rejected the H1N1 vaccine over safety concerns. Anecdotal reports of miscarriage for pregnant women receiving the H1N1 shot were rampant at that time (4). A 2012 study published in the journal Human and Experimental Toxicologylater confirmed that the Swine Flu vaccine in 2009/2010 did indeed cause an increase in fetal death (5). What did flu vaccine manufacturers and the CDC do in response? They simply bundled the H1N1 vaccine into the seasonal flu vaccine (6). What’s more, the CDC recommends that all pregnant women receive the flu vaccine despite the inclusion of H1N1 and the confirmed link to miscarriage. Most pregnant women given the flu vaccine are not informed of the link nor do they have any idea what they are getting. Given the past success of bundling undesirable vaccines into more accepted ones, vaccine manufacturers have hit on a formula that works for getting the public to comply. Watchful parents be on guard! Be sure to know exactly which vaccines are contained in each jab given to your child. Stealth inclusion of Gardasil is coming to a pediatrician’s office or health center near you.